Welcome to the portal of the Negozio Giuridico: here you go on a visit to the First Italian law ambulatory. You can understand the goals, as how an idea was born from the perception of changes in Italian society and in the world. You will discover our the project has anticipated all the laws in recent years in the field of professional services, liberalization, dispute mediation and deflation load of Justice. 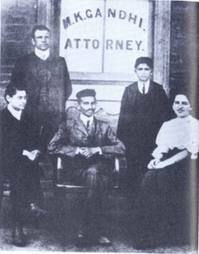 You can get acquainted with a charming new "species" of lawyer who has his ancestor in the young Mohandas Gandhi, the lawyer of peace, not war, a mediator of the legal culture.